Apple has officially released the final version of iOS 10.2 for iPhone, iPad and iPod touch with full release notes featuring new TV app, new emojis, new iPhone 7 and iPhone 7 Plus wallpapers, additional camera features and some changes in Apple Music with bugs fixes and other improvements. iOS 10.2 firmware download is available via an over-the-air update or through iTunes. You can download and update iOS 10.2 by navigating to Settings app > General > Software Update > Install or through iTunes by connecting your device directly and manually with the iOS 10.2 direct download links. 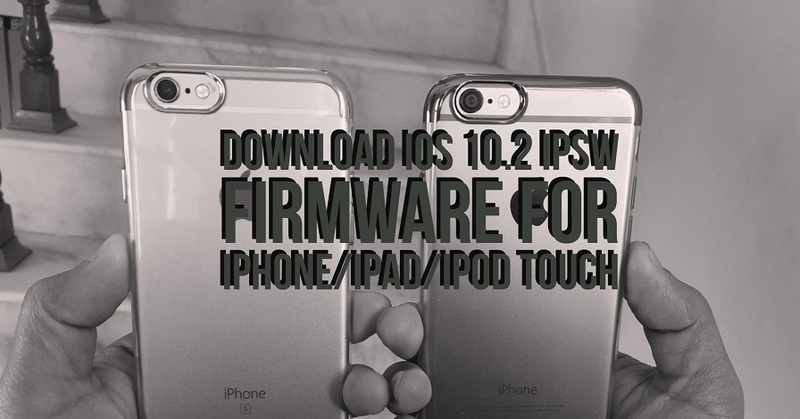 You can download iOS 10.2 firmware software update for iPhone, iPad and iPod touch from our download page if you want to install manually from iTunes. If you’re not getting stuck with internet connectivity or with any reason while updating or installing iOS 10.2 via OTA or via iTunes, then you can download iOS 10.2 ipsw firmware file for iPhone, iPad and iPod touch using the direct iOS 10.2 download links below according to your supported model and update your device manually.